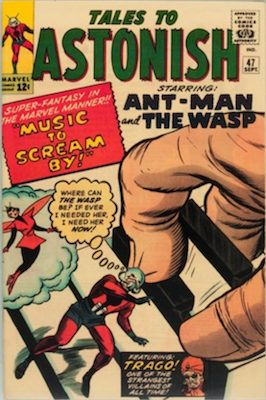 Ant-Man Movie and the Wasp: What Now for the Comic Book Values? 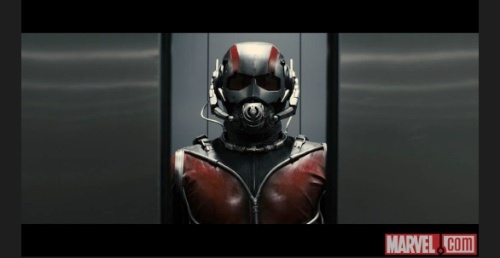 Ant-Man Movie and Ant-Man and the Wasp: What Now for Comic Book Values? The cinematic adaptation of Ant-Man was really well-received by Marvel fans, being simultaneously exciting AND funny (something DC cannot pull off). Now, a sequel, Ant-Man and the Wasp, is due to be released in 2018. Let's take a look at the values of key issue Ant-Man comics. Speculation in comic books tied to movie releases is a fact of life in the comic book industry these days. 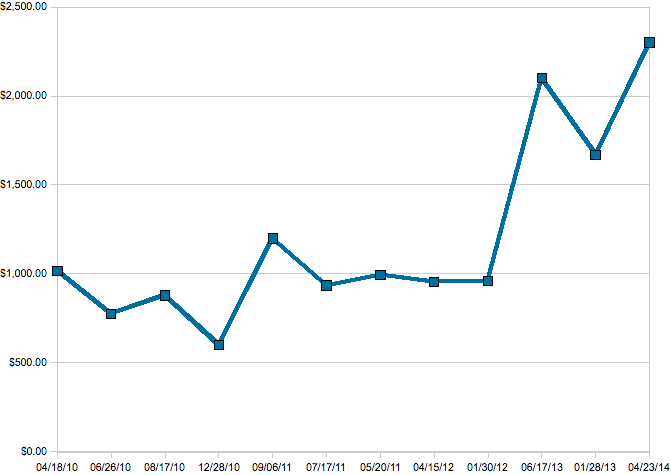 The movie hype has seen prices spike rapidly since 2012. 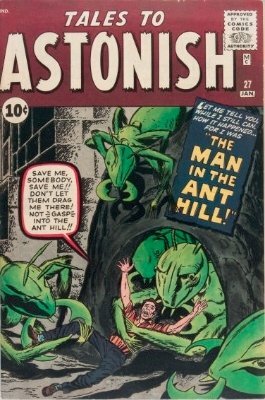 While many collectors may associate the character with his first in-costume appearance in Tales to Astonish #35, the hottest issue is the first Hank Pym appearance in Tales to Astonish #27. Here's a graph showing prices for a fairly typical example of TTA #27 in mid-grade, CGC 4.5. 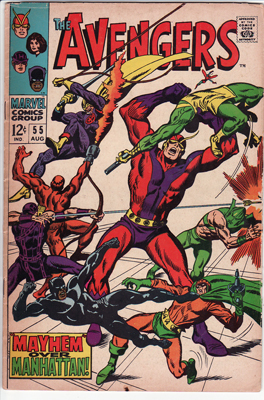 Prices of Tales to Astonish #35 show a similar growth curve, though prices are much lower for this issue. Data provided by GPA Analysis. This awesome tool tracks all sales of CGC-graded comic books. What Will the Wasp Bring to the Game? 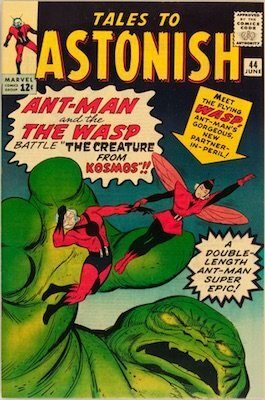 A typically ditzy female Marvel Comics character, The Wasp first appeared in Tales to Astonish #44. She went on to be a founder member of the Avengers, and one of the most important female superheroes in the Marvel universe. What Has Happened to Key Issue Prices? Are They Softening? TTA #27 is one of those issues which was probably under-valued, being the first appearance of a relatively major character. 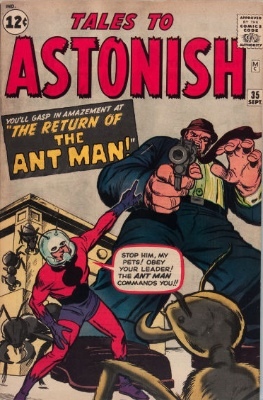 Although Ant-Man is probably not Marvel A-list, he's certainly B-list. Don't forget that this character was part of the original Avengers line-up. Avengers #1 is a special case; there are so many characters that prices are strong on the issue, but it turns up way more often than TTA #27. Find out what's happening to key issues starring Inhumans. We show you all the first appearances, and what their values are doing! 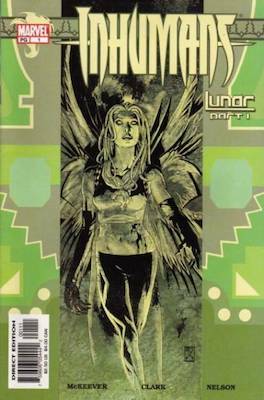 Read the value of Marvel series such as Thor, Hulk and Avengers. It's by DC and it's coming soon! Check out the value of key Suicide Squad comics.